Whiteboard Energy – On the road…. 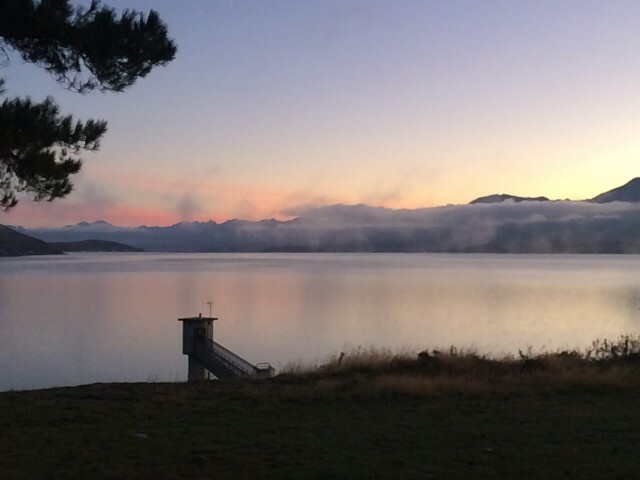 Day 2…having driven from Queenstown to Omarama (Richie country) almost straight from the helicopter (had to show the crew the joy of dinner at the Frankton Arms Tavern), day 2 saw us on the road at 7am, watching the sun rise over Pukaki and then Tekapo. First stop (after breakfast at Run 79 in Tekapo…fantastic coffee and food) was Trustpower’s Coleridge Hydro Station. Incredible spot; the lake must have one of the most amazing backdrops of any hydro power station. Commissioned in 1914, this power station was built on shingle and was the first in the world to solve the problem of water hammer. 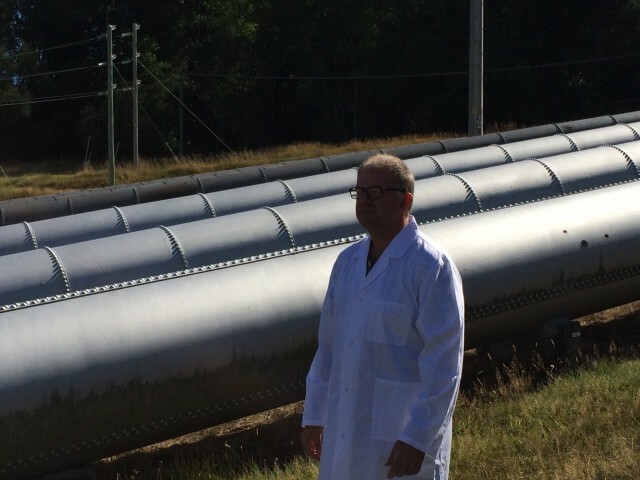 Cue weird lab coat guy to explain what water hammer was, next to the penstocks. Then began the long trek to Reefton via Arthurs Pass. Reefton is…quite something. Named as a result of it being the home of a huge gold reef, in the late 1800s this town was a bustling home of wealth, fuelled by gold. 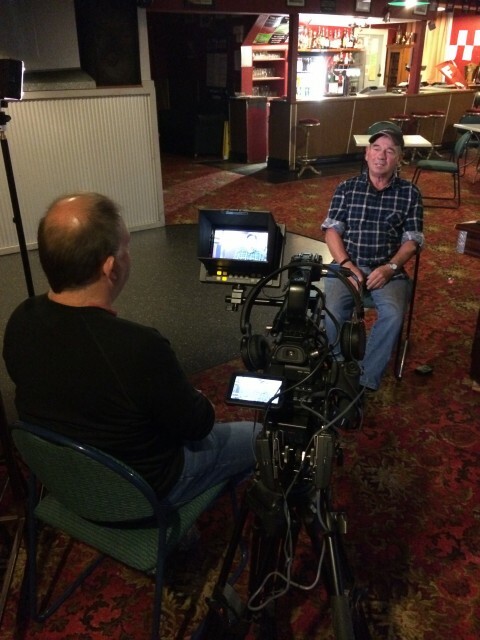 We talked to our publican, Jimmy Foster, about the realities of mining on the West Coast (as well as about the resident blond-haired ghost – Fergus – that we apparently shared our accommodation with). 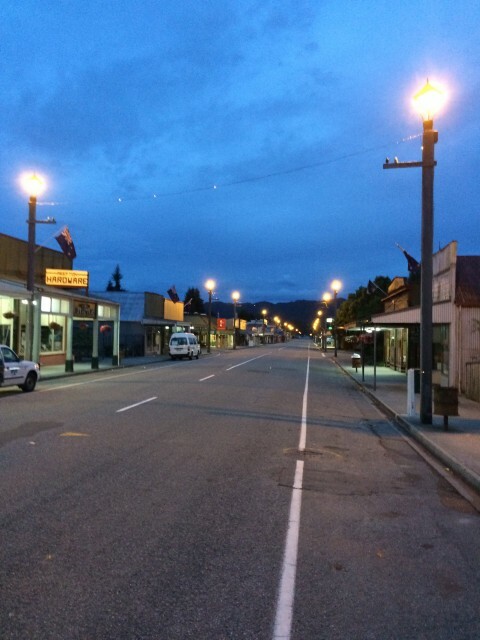 Reefton, as many will know, was the first town in the Southern Hemisphere to be lit by electric light. This is a fascinating story in itself – of a community that came together to co-own an endeavour that involved a hydro power station and street lighting in 1888. And one of our greatest, but most elusive salesmen, Walter Prince. There was a major event in the hunt for Prince in Reefton, but for that, you’ll have to watch the film..
Day 3 dawned early (again) as we visited the local Black Point museum, which included a full working model of a stamping battery…….as well as a full working stamping battery. Many of you have asked what on earth a stamping battery is, and you may equally wonder what is the pivotal role they had in getting NZ to 55% hydro. So…click play on this video to see how one works; think about the energy required to do this 12 hours a day, 7 days a week…..
We also decided it was time to do some Quantitative Analysis of Drone Flying Performance during Light Precipitation. 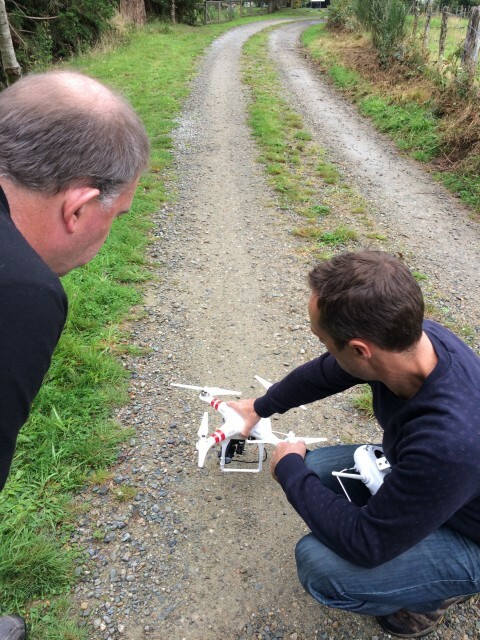 The drone flew, and got some incredible footage of the headrace of the old power station in the Inangahua River. We were incredibly grateful for the hospitality shown to us by the people of Reefton – Greg Topp, Peter Lawn, Jimmy Foster. If you’re ever there, you can trust in the coffee and breakfasts at the tearooms opposite Wilson’s Hotel (as well as the dinners at Wilson’s Hotel!). This is no Timaru Tearooms (sorry Timaru). 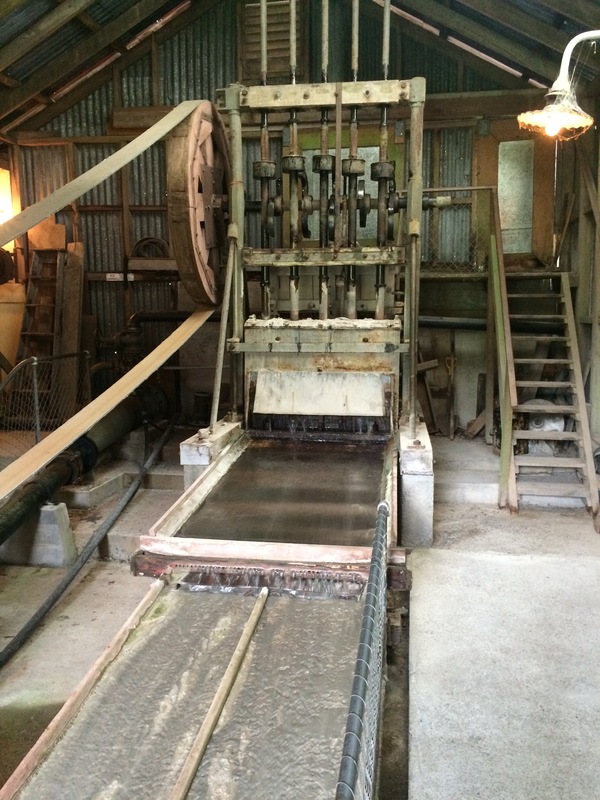 Possibly the most inspiring aspect was Greg Topp’s account of the re-establishment of the original power station at Reefton, as well as a new generating capacity in the river. Extraordinary vision and leadership by a small, resilient West Coast town. You’ll see a lot more of these guys in the film. A brief overview of the current courses we're running. Who we are and our background in the energy market. Why should you choose us. What people have to say about us.